The AirAsia Group has released its latest results this week and the group saw a massive jump in second-quarter net profits on the back of a tax benefit, however, operating profit fell sharply due to increased fuel and maintenance costs. The Malaysian based low-cost-carrier reported today, Thursday that net profit for April-June rose by 147% to 361.8 million ringgit, that's around $88 million. The big jump was mainly due to a one-off tax benefit from the sale of aircraft last year, which covers for losses seen elsewhere in the company. The group's revenues went up by 10.3% during the second quarter over the same period last year, yet its net operating profit fell nearly 18% to 324.8 million ringgit. The load factor dipped down to an average of 86% across operations in Malaysia, Indonesia and the Philippines, whilst capacity was up around 12%. 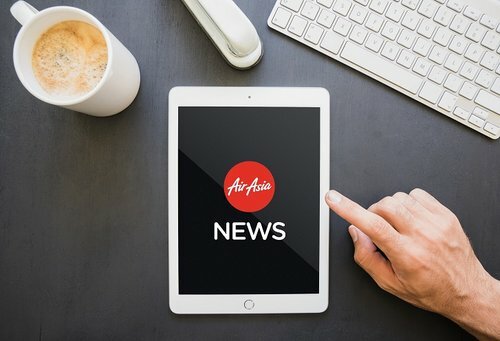 The company plans to lease in five more aircraft during the second part of this year which it will place with AirAsia X Malaysia and AirAsia X Thailand. These are in addition to the 100 Airbus A330neo aircraft Air Asia X orders a month or so ago. The deal is worth at least $30 billion at official manufacturer list prices. The aircraft are scheduled to start arriving during the second part of 2019.